Holden says one of his goals for his senior season of basketball is to make to the state semifinals at The Schottenstein Center in Columbus. Wheelersburg senior Tanner Holden signing his letter of intent to play college basketball at Wright State University next season. 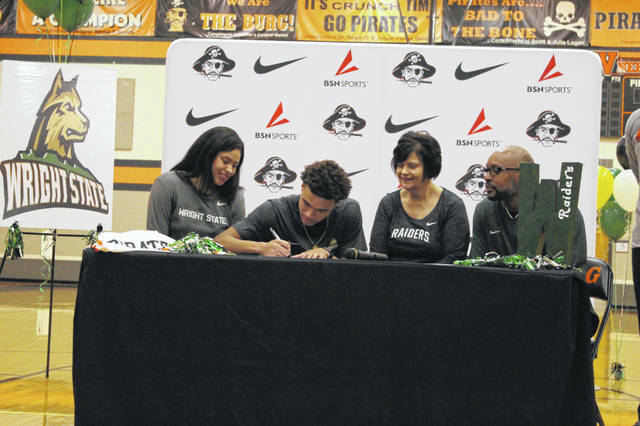 On Wednesday afternoon, Wheelersburg star football and basketball player Tanner Holden signed his letter of intent to play division one college basketball at Wright State University in Dayton, Ohio. The Wheelersburg football team will face off against Johnstown Monroe Saturday night at 7:00 p.m. at Alumni Stadium in the Division V state semifinals. Holden said that his experience on his official visit to Wright State is what sealed the deal in his choosing of the perineal top of the league competitor in the Horizon League conference. Being a two sport star, Holden said he had to decide which sport he would like to play at the next level once he graduates in the spring, and ultimately, he decided that basketball would be his sport of choice. 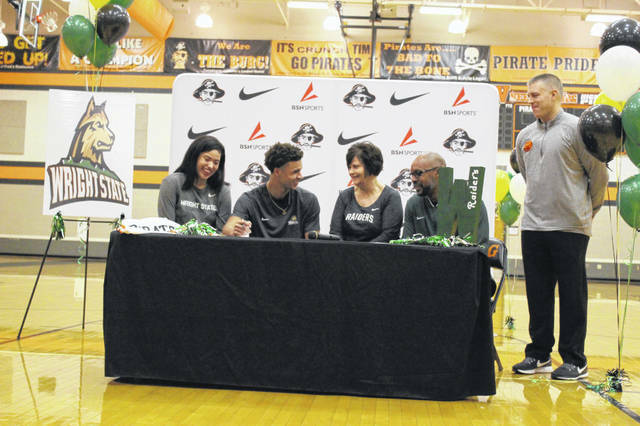 Although the Wheelersburg football season is still going on, and Holden says that is the thing most important to him at this point in time, the new Wright State signee does have some goals and expectations for his senior season on the basketball court.